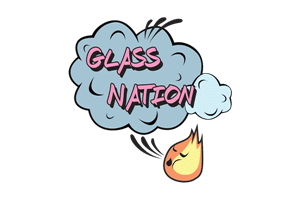 Glass Nation has some of the best silicone bongs and silicone water pipes online. It is no secret online that we rock the silicone bong game relentlessly. We have some of the highest quality silicone water bongs around. Don’t settle for anything but the highest quality platinum cured silicone bongs. Silicone water pipes that have been platinum cured are so much softer and more flexible than food grade silicone. Food grade silicone can feel hard to the touch and is much more inflexible than the high quality platinum cured silicone. Firstly, you know you need the best silicone water pipes that don’t break no matter the punishment you and your friends deliver to it. Silicone water pipes come in all different shapes, sizes, and colors. That is what makes silicone such a great material to manufacture smoking pipes with: its ability to be easily molded into so many different forms. You won’t be disappointed with a new indestructible pipe.